Fluorescent Tubes contain in general 94% Glass, 4% Ferrous and Non ferrous metals, and 2% Phosphor Powder, It is within this phosphor powder that the most hazardous element is contained- Mercury. Some 100 million lighting tubes (about 20,000 tonnes) and 100,000 tonnes of CRT glass are scrapped each year in the UK. Currently these are usually shredded and dumped in landfill sites. The Environment Agency has therefore determined that Fluorescent Tubes are now classified as Hazardous Waste in England and Wales, as Special Waste by the Scottish Environmental Protection Agency (SEPA), and therefore should preferably be recycled or if absolutely necessary, taken to specific landfill sites which can cater for mercury bearing wastes. The actual number of sites in the UK that can cater for such waste is very limited and, given high transportation and disposal costs nowadays, this makes recycling of your Fluorescent Tubes the most economical and environmentally friendly option. RCS Recycling separates the individual components of Fluorescent tubes and recovers them for recycling or re-use in a variety of industries. Apart from the Environmental aspect to Recycling Fluorescent Tubes, it is also very important to the health and safety of your employees, an employee for example attempting to dispose of a Fluorescent Tube in a skip, not only would he be condemning the whole skip as Hazardous Waste, with costly consequences of itâ€™s safe disposal, but he would also be exposed to the potential dangers of broken glass and also the inhalation of small amounts of toxic materials released as dust and vapour. Call us today with your requirements and see how RCS Recycling can help you! RCS Recycling will collect, Fridges, Freezers and any other white goods. When they arrive at our processing plant, all fridges and freezers are safely degassed. The shell is put into a special designed machine were the metals and plastics are ground up and separated, while the foam from the fridge is also degassed and separated into bags for recycling. 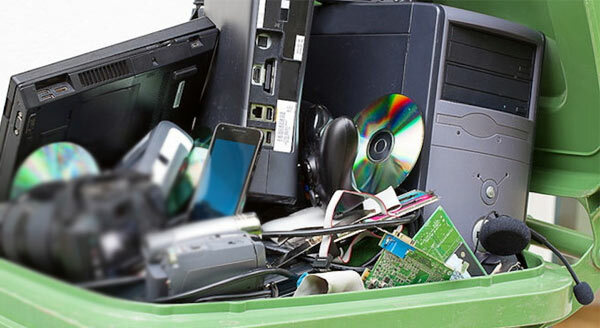 This is just one process designed for the recycling of Waste Electrical and Electronic Equipment under the new WEEE Directive. RCS Recycling Limited recycle any batteries, call us with your requirements! To receive a quote for Environmental Recycling in London, Slough, Windsor, Maidenhead, Reading and all around United Kingdom, contact RCS Recycling to get the process started.